Well it’s that time of year again, May. The bank holiday is looming and the countryside is starting to look so beautiful. There is a plethora of colourful flowers blooming in the fields and verges. Buttercups, daisies, bluebells and thrift, to name just a few, are abundant and making the coastal area feel fresh and vibrant. 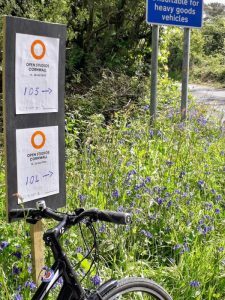 ….THE OPEN STUDIOS CORNWALL ARE HERE AGAIN! This is the time of year when all types of artists open the doors of their studios and invite us, the public, to come in and see what they are all about. Artists Open Houses are not unique to Cornwall. Last year the largest event of this kind in the UK was in Brighton and Hove. Other areas include Dulwich, East Kent and Wandsworth. They are a convenient and affordable way for creative makers to display and sell their work. It’s also a great opportunity for anyone, whether you are an art enthusiast or not, to take a look and find out about the talent in the area we live in. 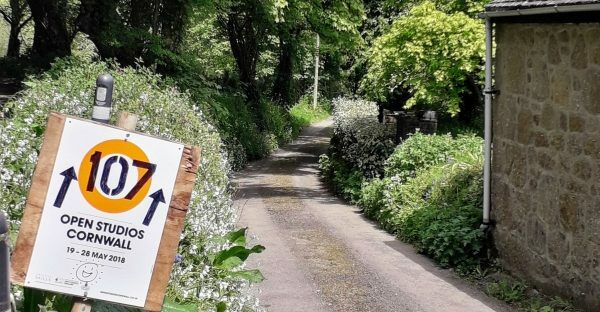 The Open Studios in Cornwall is in its 14th year and I’m ashamed to admit that I’ve never really taken much notice of it before. 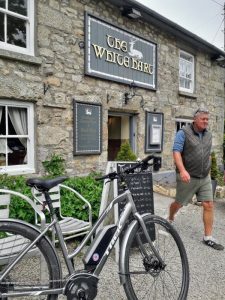 So this year I decided to cycle round and see what is on offer in the Penwith area. There are over 300 artists across Cornwall in the event this year, which is a massive increase from the first year when there was only 47. 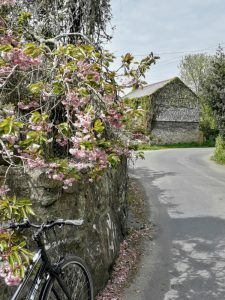 My cycle ride started from Pendeen, over to Gurnards Head and through Newmill, Gulval and Ludgvan, where I stopped at The White Hart and had a scrumptious Sunday Roast. Within half a mile I had past at least 2 Open Studio signs directing me to their doors. 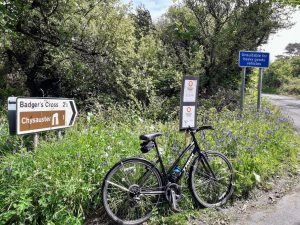 As I cycled on I went past so many signs pointing down roads, lanes and towards pretty hamlets, I couldn’t go to them all in one cycle ride. There are all types of artists involved, including ceramics, sculpture, painters and jewellery makers. After a while exploring I realised, I was getting quite addicted looking for these orange circles; a bit like a treasure hunt and it was the hunt I was enjoying! 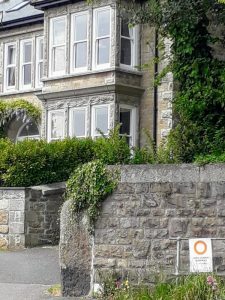 I was checking road junctions, sign posts even people’s front doors, just to find another orange circle. It gave a different feel to the ride and I noticed different qualities of the area that I hadn’t taken in before. 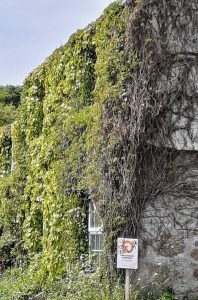 Beautiful gardens which at this time of year are stunning with the blossoms of all kinds of flowers and trees, signposts surrounded by wild garlic and bluebells were so attractive. On my ride I must have come across at least 20 different open studios. I strongly recommend the orange circle hunt, it’s fun!! Get the kids involved, pick up a guide and mark them off as you go round the area. See how many Open Studio orange circles you can find. Oh, don’t forget to pop in to see what the artists have to offer. After all that’s what it’s all about. If you want to follow this cycle route or other routes in the area then go to our Routes page. Previous postE-Bikes, are they really cheating?